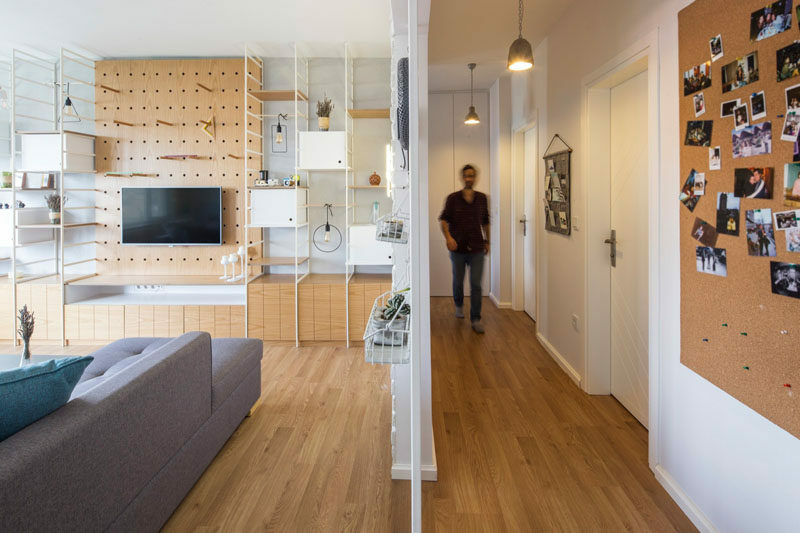 Upon entering the apartment, you’re presented with the living and dining room on the left, and the kitchen on the right. Further down the hallway is the bathroom and both bedrooms. 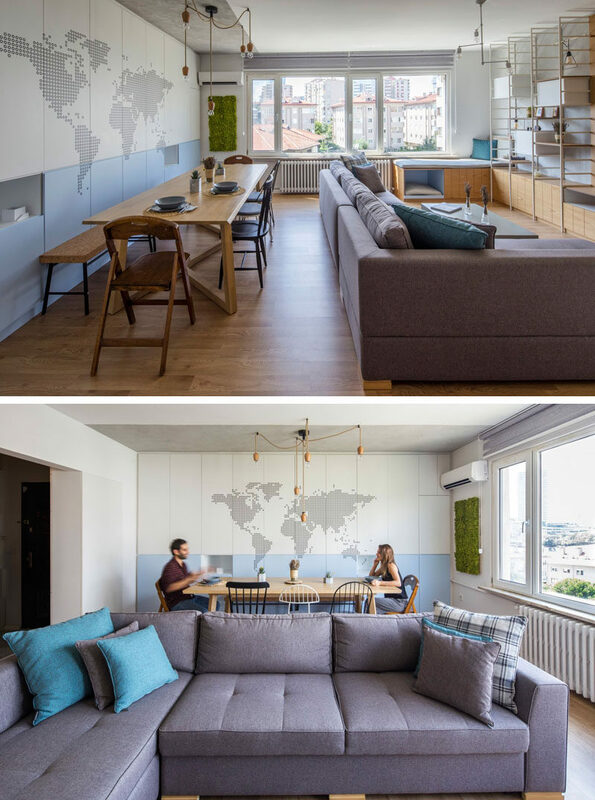 The living room and dining room both share the same space. 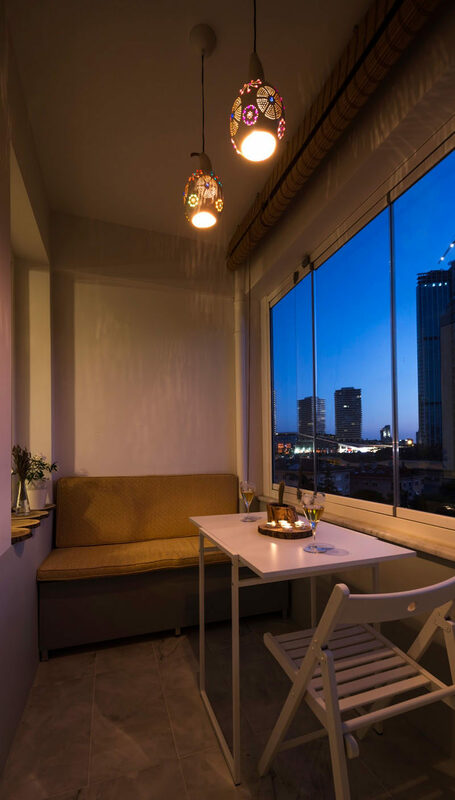 A small section in front of the window has been made into a window seat that enjoys views of the city. 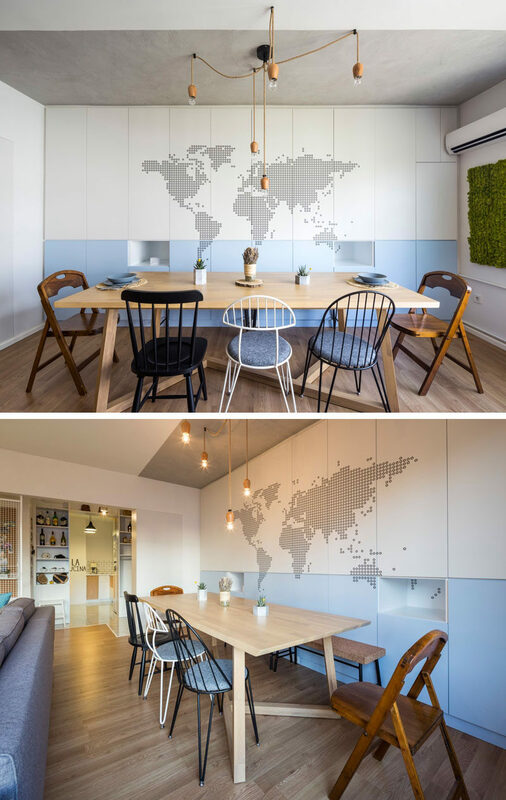 Behind the dining table, a wall of cabinets has a couple of small cut-outs that are used as shelves, and a map of the world has been added as an artistic feature. Opposite the dining room is the kitchen. 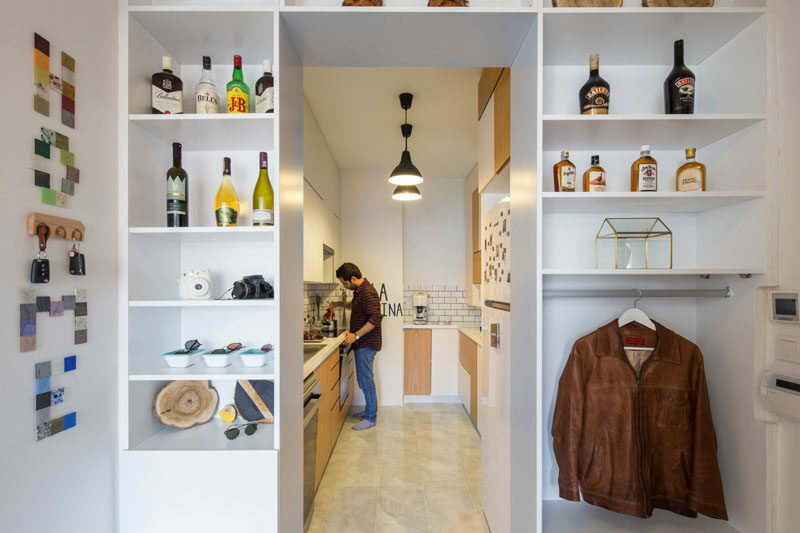 Open shelving surrounds the entrance to the kitchen and provides a place to hang jackets next to the front door. Heading down the hallway is the bathroom. 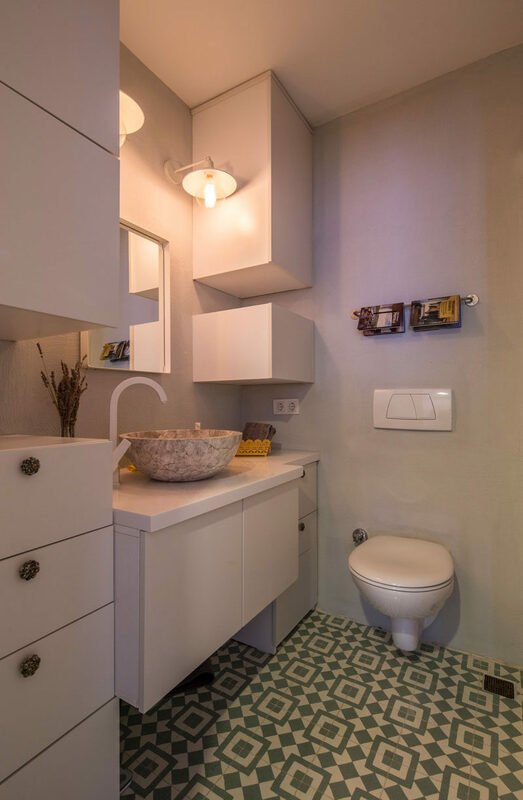 The designers have utilized the height of the bathroom to create additional storage that reaches all the way to the ceiling. 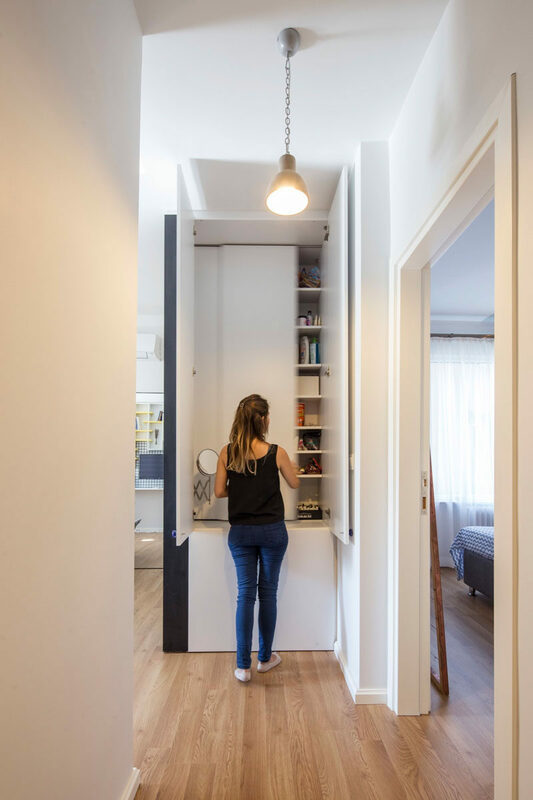 At the end of the hallway is a closet that provides much added storage in the apartment. On the right of the closet is the bedroom. 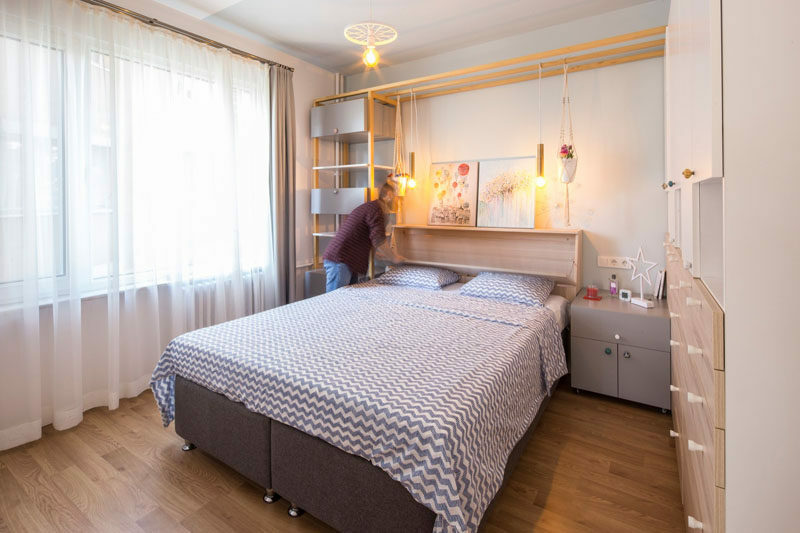 Shelving wraps around the bed and provides a place for lamps to be hung and decorative items to be displayed. 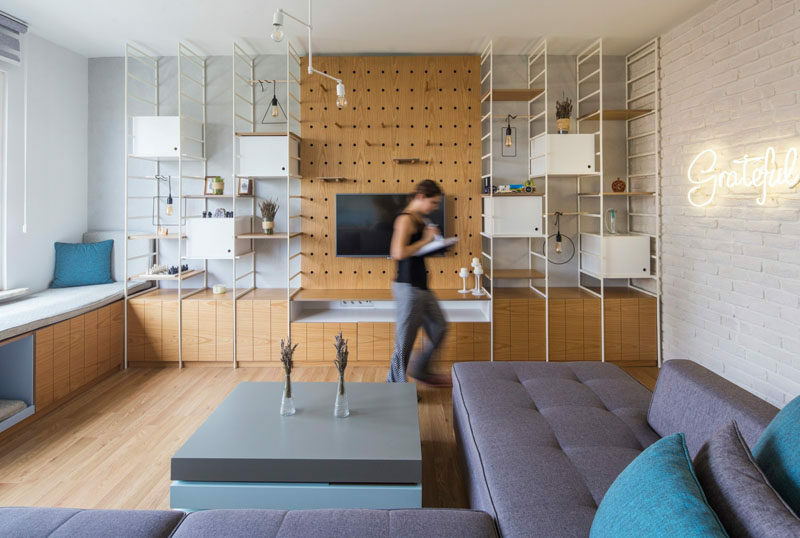 On the left of the closet and opposite the bedroom is a second bedroom, however the homeowners have decided to use it as a home office. 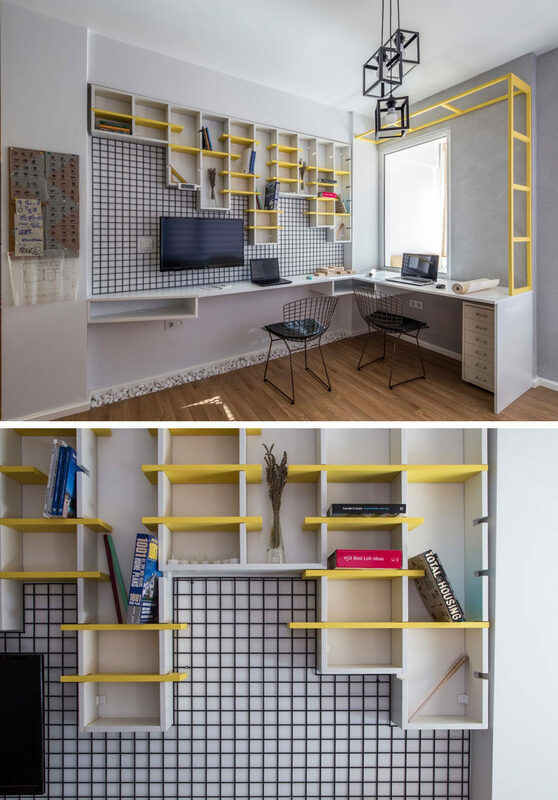 Upon entering the home office, there’s a chalkboard wall and cabinets with bright yellow outlines. One of the corners of the room has been transformed into the work area, with bright yellow continuing as a feature color. 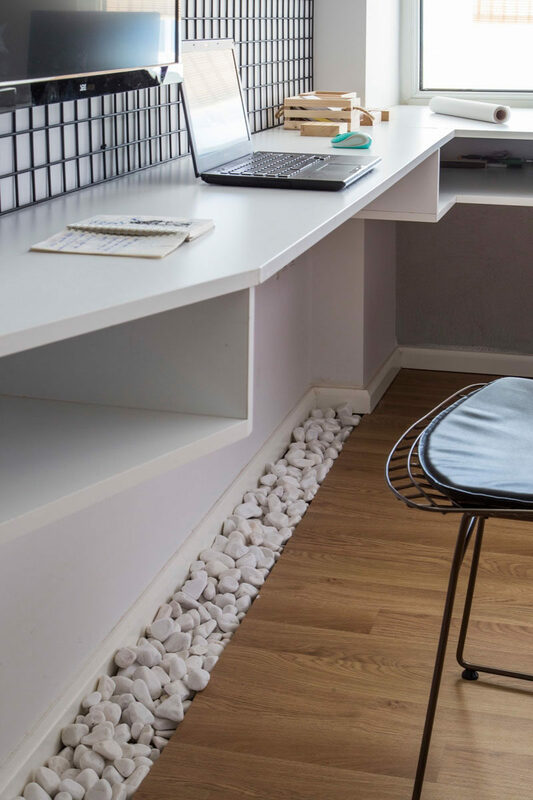 Under the desk, a touch of nature has been brought in with the use of white pebbles, perfect for giving your feet something to play with when you are working. Finishing off the apartment is a small enclosed balcony that’s located off the home office. A small built-in banquette and a set of decorative pendant lights create a relaxing atmosphere. 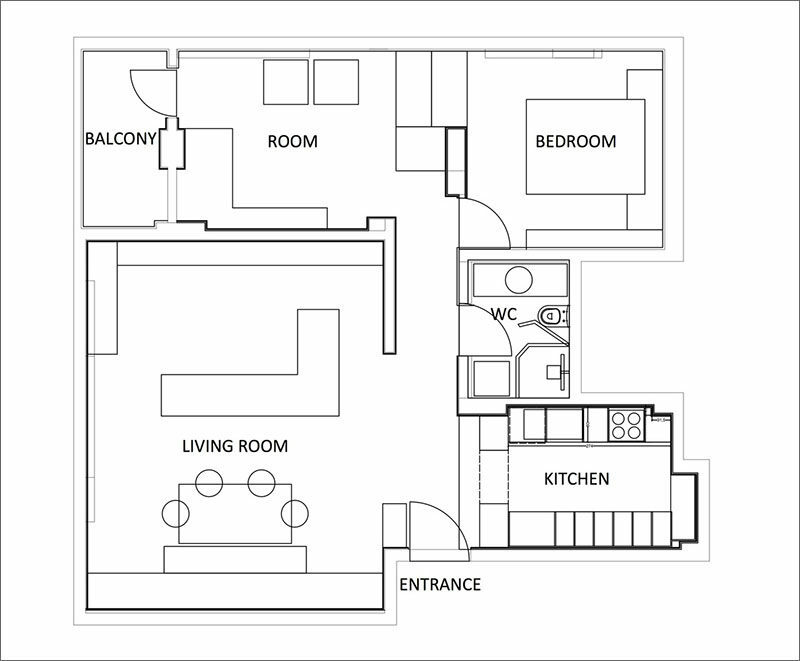 Here’s a look at the floor plan of the apartment.